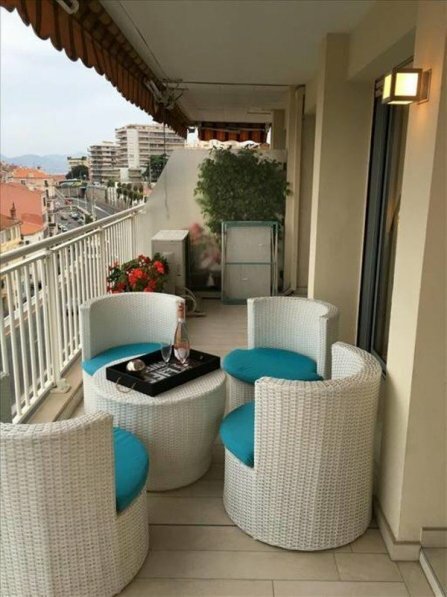 2 steps from the Palais des Festivals in Cannes, very comfortable 2 rooms of 45m ² entirely renovated benefiting from a nice terrace with a splendid sea view, Suquet, Vieux Port. The apartment is very comfortable and very well equipped. It is composed of an entrance, a shower with toilet, a kitchen, a living room open to a Terrace, a bedroom with wardrobe overlooking the terrace. Air conditioning, wifi, satellite TV, nespressoo.